As we are becoming busier in our everyday life, things that give us convenience on the go are taking up a very prominent place. When we were infants our mothers used wet clothes to clean us, but with time and technological advancements, better and more hygienic wet wipes have become the obvious choice. 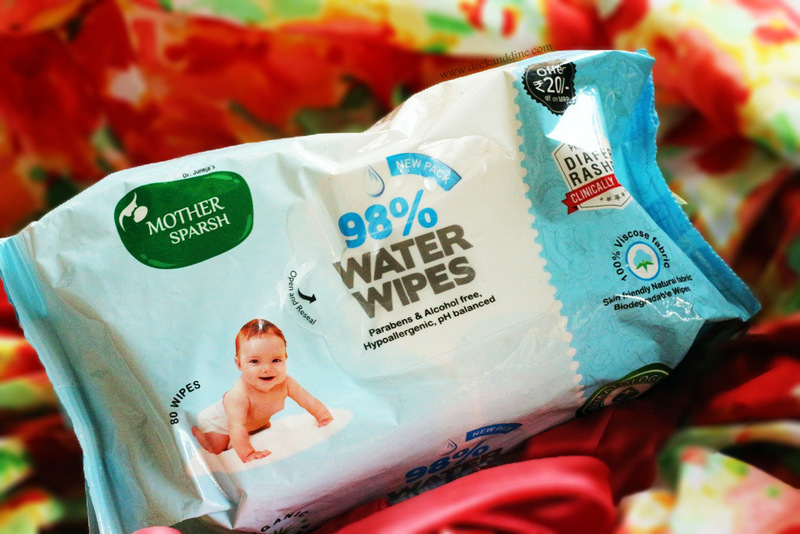 Baby wipes are probably the most important thing in a mama’s bag. From all the all the food and drinks our babies literally litter all over themselves, to quick nappy changes, wet wipes are every mum’s weapon. Not only for the baby, baby wipes are so important for us grownup as wells. I am a makeup artist and a beauty blogger and I can never imagine my life without wet wipes. But finding the best wet wipe for your kid or even for yourself is not as simple as it may sound. I have seen how my sister in law is always under pressure; researching and investigating popular baby wipe brands to find the best for the little one in our family. I myself have spent hours to decide on which baby wipe to buy and which to ignore. Mother Sparsh Water Wipes are formulated specifically for super soft and delicate skin of your baby. The presence of 98% pure water & natural plant fabric makes Mother Sparsh baby wipes as good as cotton & water. The skin-friendly natural fabric is velvet soft, cleans well and provides very safe and effective cleansing. These wipes are dermatologically tested which makes them very effective in preventing allergy, redness & rashes in little ones. Mother Sparsh Water Wipes are 100% biodegradable which makes them environment-friendly too. Click HERE for more details. WHERE TO BUY:-Amazon and First Cry. 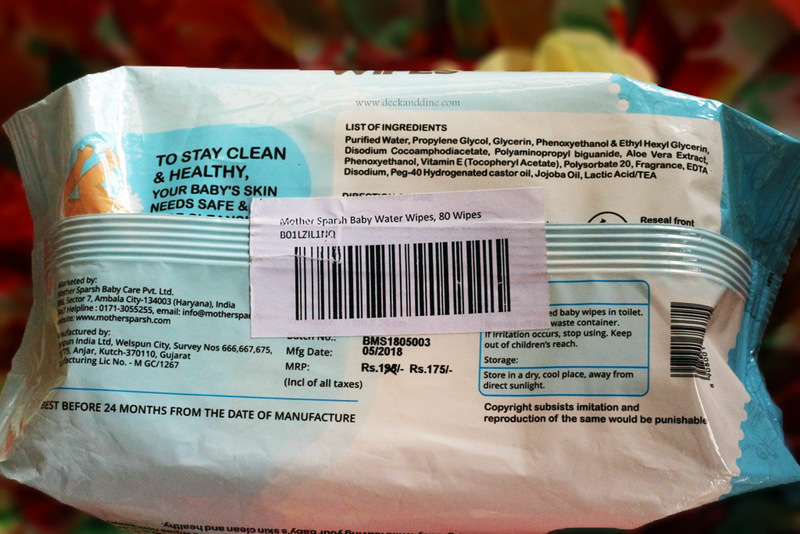 The wet wipes come in usual plastic packages with peel off reusable stickers. You have to peel off the sticker, take out a wipe and again carefully stick it back. They are the 15 x 20 cm wipes and are not overly thin or excessively thick. Being made out of 100% pure cotton, they feel a bit textured which helps in picking and cleaning up mess better. The wipes feel very natural, very soft and have mild fragrance. Though this one smells very refreshing and nothing that my sensitive nose detest, yet when it comes to baby products, I prefer non-fragrant ones. As I said earlier, we are very sceptical about using new products on our baby. But as soon as I peeled off the sticker and took out a wipe, it felt so different and had an amazing ‘I am better’ feel to it. I don’t know if I could make you all understand, but that’s how it felt. It felt way better than the usual wet wipes we buy while walking through the baby aisle at stores. They say 98% water and the wipes do feel watery. Other wet wipes in the market are lotion based, but these being water based, are as effective as our good old ‘cloth/cotton wet in water’, but just better and more hygienic. They not only cleaned well but also moisturised baby’s gentle skin perfectly. The wipes didn’t cause any redness, allergy or any kind of irritation to the baby. Moreover, we have noticed a considerable reduction in the redness that was there already on her bum. So, yes, it sooths skin as well. I have been sneakily stealing these wipes from my SIL’s baby bag to remove my makeup. They feel so good that I can’t help taking out one once in a while. These work great in removing my daily makeup. My skin feels clean, moisturised and refreshed. Thanks to the wonderful ingredients. 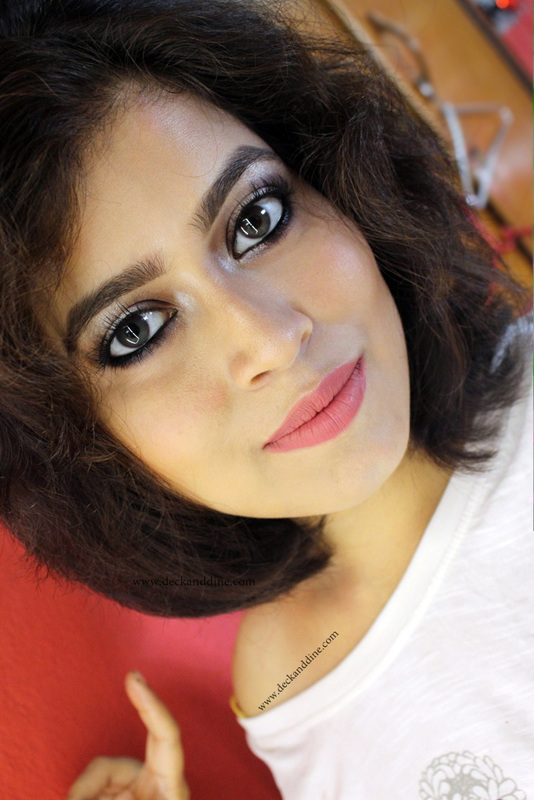 But if you are a fan of stubborn water-proof makeup, you will need additional support. I also use it to just freshen up myself on the go. 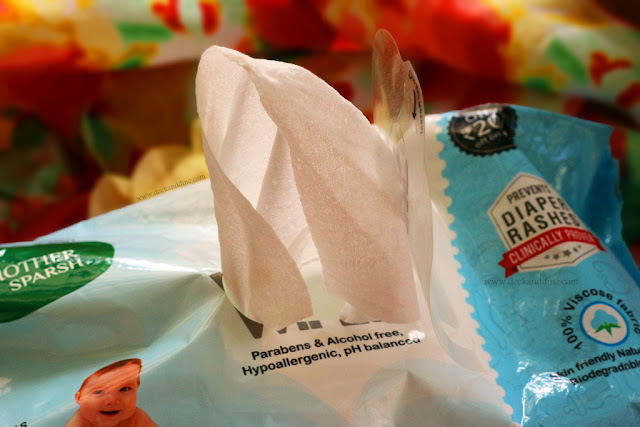 Wet wipes are wreaking havoc on the environment. 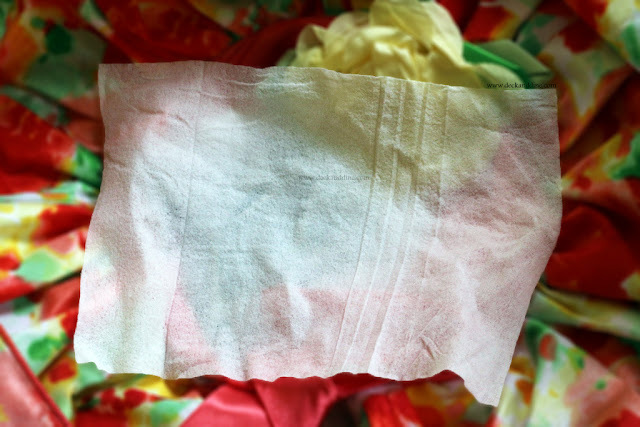 Research shows that wet wipes take up a lot of space in landfills. But this is not the case with Mother Sparsh baby wipes. They are 100% biodegradable, thus having both economic and environmental benefits. Prevents nappy rashes and infections. Velvety soft and can be used on new born babies as well. Infused with the goodness of Aloe Vera and Jojoba Oil. Great for sensitive skin as well. Easily available on different e-commerce websites. Though the reusable stickers are of good quality, but I just feel that a plastic lock would have made it a little better, especially for the large packages. Made from 98% water and a touch of baby lotion, these wipes are designed to protect baby’s delicate skin from germs, nappy rashes and other infections. They’re hypoallergenic and ph-balanced, too. 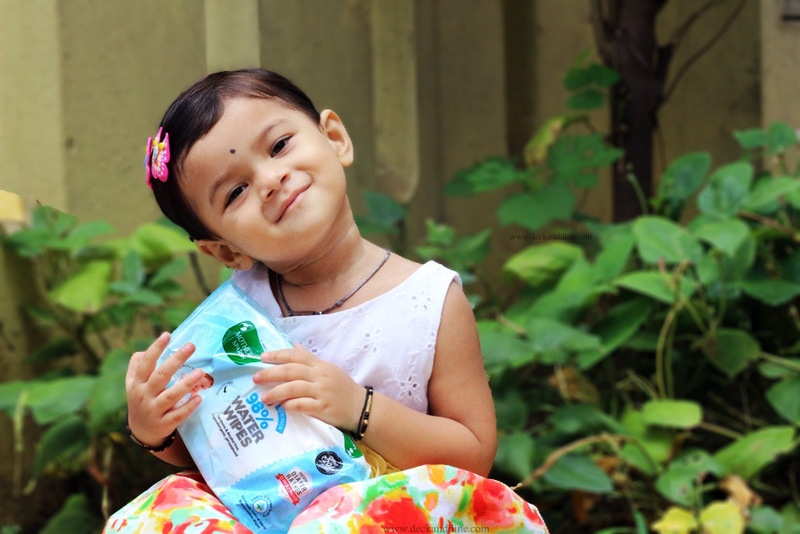 Overall, Mother Sparsh Baby Water Wipes are amazing for kids, mothers and aunts of any age… ;) These are absolutely safe, delicate and you can use them on your babies without any worries. We are absolutely loving these. Moreover, they neither pose any threat to the environment, nor to your pocket; so super affordable they are. I have already ordered a few packs for myself and my niece. You have to use it to feel the difference. 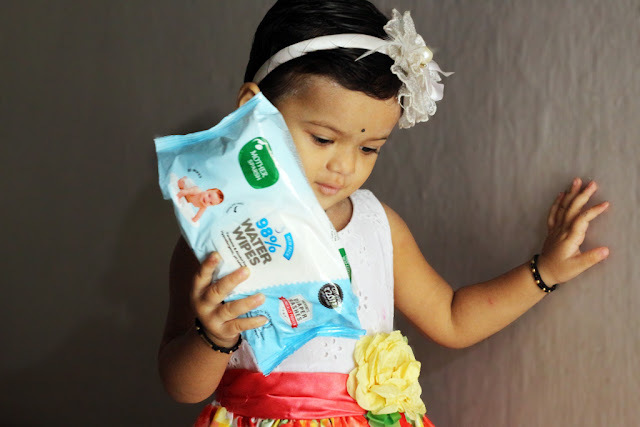 So heres to clean and fresh skin anytime, anywhere..
Have you used Mother Sparsh Baby Water Wipes? * PR Sample. But review is honest as always. A perfect wipe for children. Will try it someday in future. Great to know that they are good in removing makeup. I might want to give it a try! Nowadays I am using this product and I am really happy with these wipes. These are absolutely safe for our kids. 98% water wipes sounds good to me...Shall try it.